Any opinions, findings, and conclusions or recommendations expressed in this publication are those of the author(s) and do not necessarily reflect the views of the participating agencies, TAMU, or Texas A&M Research Foundation. The bulk of the shipboard-collected core data from this expedition is accessible at http://iodp.tamu.edu/database/index.html. If you cannot access this site or need additional data, please contact Data Librarian, International Ocean Discovery Program JOIDES Resolution Science Operator, Texas A&M University, 1000 Discovery Drive, College Station TX 77845-9547, USA. Tel: (979) 845-8495; Fax: (979) 458-1617; Email: database@iodp.tamu.edu. A complete set of the logging data collected during the expedition is available at http://mlp.ldeo.columbia.edu/logdb/scientific_ocean_drilling. If you have problems downloading the data, wish to receive additional logging data, or have questions regarding the data, please contact Database Administrator, Borehole Research Group, Lamont-Doherty Earth Observatory of Columbia University, PO Box 1000, 61 Route 9W, Palisades NY 10964, USA. Tel: (845) 365-8343; Fax: (845) 365-3182; Email: logdb@ldeo.columbia.edu. Supplemental data were provided by the authors and may not conform to IODP publication formats. JRSO expedition photos are the property of IODP and are public access. Some core photographs have been tonally enhanced to better illustrate particular features of interest. High-resolution images are available upon request. Cover photograph shows the R/V JOIDES Resolution on site in the South China Sea during Expedition 368. Photo credit: Shuhao Xie and IODP JRSO. Except where otherwise noted, this work is licensed under the Creative Commons Attribution 4.0 International (CC BY 4.0) license (https://creativecommons.org/​licenses/by/4.0/). Unrestricted use, distribution, and reproduction are permitted, provided the original author and source are credited. Examples of how to cite this volume or part of this volume are available at http://publications.iodp.org/proceedings/367_368/367368title.html#bib. Visual core descriptions (VCDs) are presented in PDF files for each site. Smear slides and/or thin sections are presented in PDF and/or CSV files for each site and/or hole (CSV files are available in the CORES directory). The entire set of core images in PDF is available in the IMAGES directory. Supplementary material for the Volume 367/368 expedition reports includes DESClogik workbooks in Microsoft Excel format, an original seismic section figure in PDF and Adobe Illustrator format, downhole measurement data in PDF, and captions in Microsoft Word format. A full list of directories can be found in SUPP_MAT in the volume zip folder or on the Supplementary material for Volume 367/368 expedition reports web page. A site map showing the drilling locations for this expedition and maps showing the drilling locations of all International Ocean Discovery Program (IODP) expeditions, produced using QGIS (http://www.qgis.org), and all Integrated Ocean Drilling Program, Ocean Drilling Program (ODP), and Deep Sea Drilling Project (DSDP) expeditions, produced using Generic Mapping Tools (GMT) of Paul Wessel and Walter H.F. Smith (http://gmt.soest.hawaii.edu), are available in PDF. We dedicate this volume to our good friend and colleague Dr. Kirk D. McIntosh who passed away during Expedition 368 at the age of 59. Those who worked closely with Kirk on the years-long preparations for the South China Sea expeditions learned to know him as a person of the finest qualities. 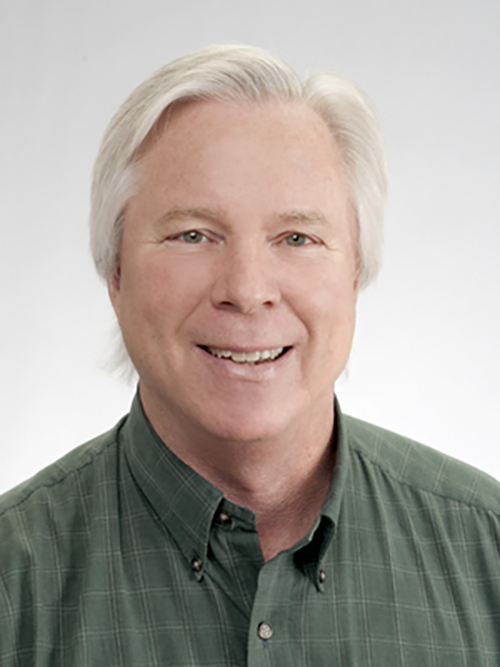 His prior work in the region was crucial to the scientific foundation of the project, and the rigor that he applied in processing and interpreting the seismic data greatly helped to shape our final drilling plans. His treatment for leukemia prevented him from sailing with us, but he remained engaged in our discussions even as we sailed. We were devastated by the news of his sudden death. His contributions will not be forgotten. Photo credit: David Stephens, Bureau of Economic Geology, University of Texas at Austin. Complementary Project Proposal (CPP) Expeditions 367 and 368 received generous funding from the Ministry of Science and Technology (MOST; China). 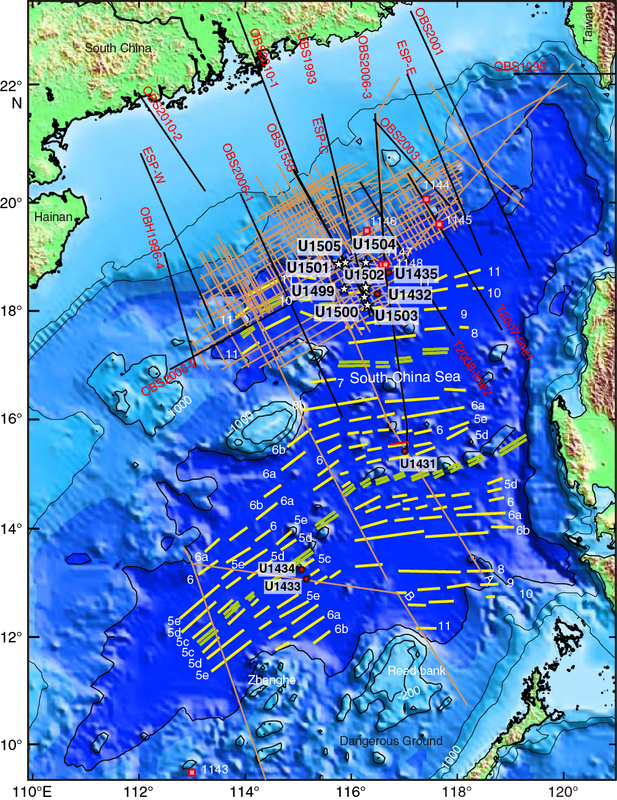 We are grateful to the China National Offshore Oil Corporation (CNOOC) for their powerful support with the regional deep crustal seismic data on which the entire project builds and to the Guangzhou Marine Geological Survey (GMGS) for releasing high-resolution bathymetry data from around the drilling sites. The success of the expeditions, from proposal preparation to the supporting work related to the expeditions, greatly benefited from support by the IODP-China office and the major research program “The South China Sea Deep” (2011–2018) funded by the National Natural Science Foundation of China (NSFC). We express our most sincere thanks to Professor Pinxian Wang, who made it possible to develop the proposal into two CPP expeditions. Professor Chunfeng Li is also greatly appreciated for his contributions to proposal preparation and partial data support. 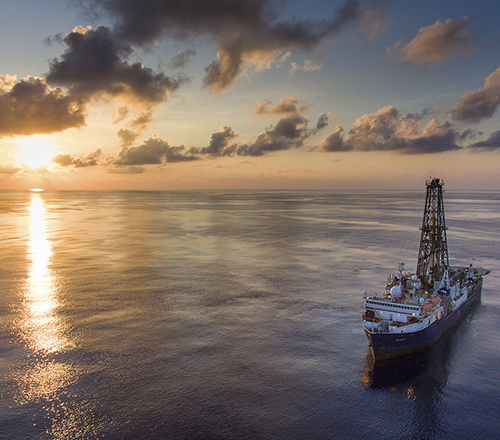 The International Ocean Discovery Program (IODP) represents the latest incarnation of almost five decades of scientific ocean drilling excellence and is generally accepted as the most successful international collaboration in the history of the Earth sciences. IODP builds seamlessly on the accomplishments of previous phases: the Deep Sea Drilling Project, Ocean Drilling Program, and Integrated Ocean Drilling Program. The 2013–2023 IODP Science Plan (Illuminating Earth’s Past, Present, and Future) defines four themes and thirteen challenges for this decade of scientific ocean drilling that are both of fundamental importance in understanding how the Earth works and of significant relevance to society as the Earth changes, at least in part in response to anthropogenic forcing. This phase of IODP represents a renewed level of international collaboration in bringing diverse drilling platforms and strategies to increasing our understanding of climate and ocean change, the deep biosphere and evolution of ecosystems, connections between Earth’s deep processes and surface manifestations, and geologically induced hazards on human timeframes. The Proceedings of the International Ocean Discovery Program presents the scientific and engineering results of IODP drilling projects, expedition by expedition. As in the preceding Integrated Ocean Drilling Program, expeditions in the new IODP are conducted by three implementing organizations, each providing a different drilling capability. These are the US Implementing Organization (USIO; through September 2014) and the JOIDES Resolution Science Operator (JRSO; as of October 2014), providing the leased commercial vessel JOIDES Resolution for riserless drilling operations; JAMSTEC’s Center for Deep Earth Exploration (CDEX), providing the drillship Chikyu for riser and occasional riserless operations; and the European Consortium for Ocean Research Drilling (ECORD) Science Operator (ESO), providing “mission-specific” platforms (MSPs) for expeditions that extend the IODP operational range where neither drillship is suitable, for example, in polar environments and in shallow waters. Scheduling decisions for each capability are made by three independent Facility Boards, each of which includes scientists, operators, and platform funding partners: the JOIDES Resolution Facility Board (JRFB), Chikyu IODP Board (CIB), and ECORD Facility Board (EFB). At the beginning of the new IODP, the three Facility Boards agreed to utilize Publication Services at the USIO and now the JRSO for production of all expedition Proceedings volumes and reports. The new IODP differs from prior scientific ocean drilling programs in that it has neither a central management organization nor commingled funding for program-wide activities. Yet this phase of IODP retains a fundamental integrative structural element: a “bottom-up” evaluation of all proposals for drilling expeditions by a single advisory structure composed of scientists representing all international program partners. International scientists may submit drilling proposals to the Science Support Office; all submitted proposals are then evaluated by a Science Evaluation Panel in the context of the Science Plan. The new IODP also has a second internationally integrative level for high-level discussion and consensus-building: the IODP Forum. The Forum is charged with assessing program-wide progress toward achieving the Science Plan. At present, IODP involves 26 international financial partners, including the United States, Japan, an Australia/New Zealand consortium (ANZIC), Brazil, China, India, South Korea, and the eighteen members of ECORD (Austria, Belgium, Canada, Denmark, Finland, France, Germany, Ireland, Israel, Italy, the Netherlands, Norway, Poland, Portugal, Spain, Sweden, Switzerland, and the United Kingdom). This enhanced membership in the new IODP represents a remarkable level of international collaboration that remains one of the greatest ongoing strengths of scientific ocean drilling. *Affiliations at time of expedition, except where updated by participants.